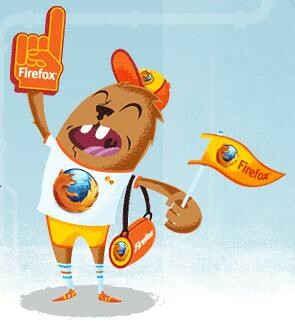 Catch the Firefox 4 launch live! Calling all Mozillians and Firefox fans! Firefox 4 has been an incredible team effort and it’s your browser so we wanted everyone to have the opportunity to experience launch HQ activities. We’ll broadcast from Air Mozilla starting at 6:30 a.m. PDT/2:30 p.m. CET/1:30 p.m. UTC on March 22nd. Curious as to what actually happens during a launch? Find out and get your questions answered live. Join #airmozilla on irc.mozilla.org to post questions or tweet them to @firefox with the hashtag #airmoz. Ok…so maybe not an Oprah giveaway, but I guarantee fun. Special thanks to Guillermo Huerta, Spencer Hui, Hilary Hall, Matthew Zeier, Michael Morgan, William Reynolds, Henry Langi and Eljon Balangue for pulling this together on such late notice! As well as all of our speakers and participants. Note: We’re unable to use the HTML5 video tag in this particular case — the technology to support a high-volume live stream using open codecs simply doesn’t exist yet. Because we wanted to make the launch as inclusive as possible we made the decision to use the same video solution as the one used for Firefoxlive.org. We’ll ensure that the archived videos are available in open video formats. This coming Saturday Mozilla will be taking part in the Dare2BDigital conference in Mountain View aimed at getting young girls exposed to technology. Lukas Blakk is creating a pretty awesome video workshop that will show off both HTML5 and Universal Subtitles. She’ll be joined by Marcia Knous, William Reynolds and Rainer Cvillink. I’m pretty bummed I can no longer make it – had to extend a work trip. To make this come together we need another volunteer on-site for the workshop and people to help translate subtitles online (sign up)! If you don’t know about Universal Subtitles you should — it allows people to easily add translations to videos and was recently used to hack Obama’s State of the Union address. It’s a powerful example of how technology can make the Web more participatory and give more people “access” to content online. So why do I care? It’s not just that I am a woman, but I’m still struck by how few women there are in Open Source and in technology overall. A recent NYT story reports that only 15% of Wikipedia’s contributors are women. (Side note: I’ve been meaning to jump into Wikipedia for years and looks like it’s time to stop dragging my feet). It’s more about how fulfilling and stimulating technology has been for me and I’d like to see more women enjoy it. 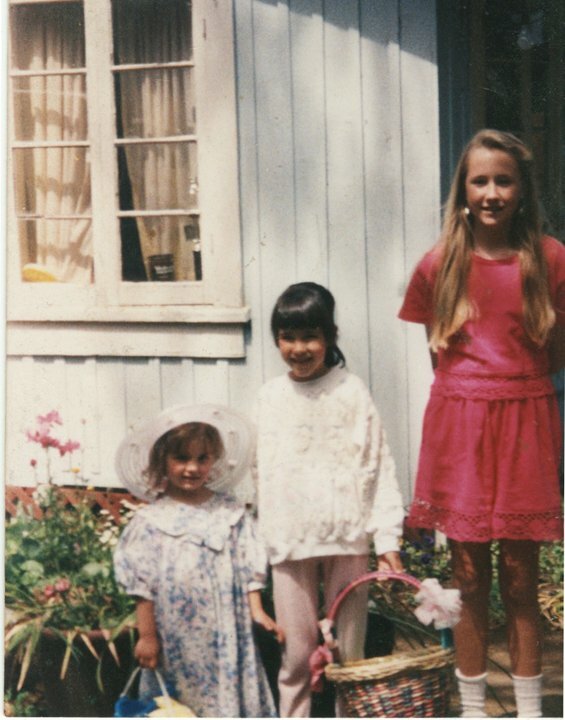 And, I think about how impressionable I was as a young’un and the influences that shaped me. My elementary school in particular had some incredible programs – Getty Art that ensured extensive arts classes with Bonnie Wallace, a supplementary creative program with Judy Hein (writing, videography and more!) and an amazing library that included a club and extensive readings by Mrs. Rice. This firmly set me on the path of liberal arts, a love for creating things and ultimately, a study in art history. Could we have been hackers? I often think what would’ve happened if I were more exposed to technology — playing endless rounds of “Where in the World is Carmen Sandiego?” doesn’t count. Although it did spur an obsession with travel and hats. I don’t think it’s too late for me…there is a hacker lurking somewhere inside. The constant exposure to all the amazing creation that goes on the Web could change this yet. If you have a little time this weekend please help make a hacker and show girls how awesome the Web is — especially if you’re multilingual! Sign up here. Calling all Mozillians in No. & So. America: Let’s talk today! Dial-in Info: +1.650.903.0800, followed by 92# and then 7391# Or you can use our toll-free number: +1.800.707.2533, followed by 369# and then 7391#. If you’re outside the US, use Skype to call in with our toll-free number. We’ll share slides shortly, but you can submit questions now here. We have two more coming up to help accommodate everyone’s timezones! Gen Kanai is planning one for Asia and William Quiviger one for Europe and Africa. Please spread the word about this call — an RSVP will go out as soon as we settle on a time. William and Gen will be following up to set up the Europe, Africa and Asia timezone-friendly calls soon! 2011: Getting off to a great start! I’m pretty giddy about starting off the year with a new job role and team at Mozilla: Contributor Engagement. We’ll be focused on further empowering and supporting Mozillians – individuals that passionately support, champion and contribute to the Mozilla project. This isn’t a new area for Mozilla, by any means — but I’m now part of a team that is 100% dedicated to Mozillians. My comrades to start are David Boswell, Gen Kanai, Amie Tyrrel and William Quiviger. Getting this new role is like finding out I don’t have to eat my vegetables to get my dessert. I get it all the time now! (Not sure that’s the right analogy, but hope you get what I mean.) 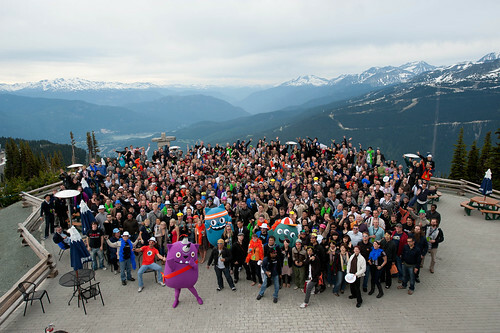 Our community — it’s zaniness, talent, passion and diversity — has always been my favorite part of Mozilla. Frankly, it’s been my day-to-day interactions with volunteers that have kept me afloat in some transitional times and brightened a bad day here and there. No one is part of Mozilla because they have to be — they are here and engaged because they care — hard not to let that rub off on you. It’s only fitting that we’ve “code named” ourselves Team Baked Goods! Enough about dessert. What will we do everyday? Provide new opportunities and “on ramps” for participation in Mozilla. Make it easier for us to to find and communicate with each other. Work across teams (both expertise and regions) to help bring even more people into the Mozilla community and foster them. Create and update shared resources to make contributing to Mozilla even better. Examples: a web-based community directory for Mozillians; the about:mozilla newsletter; ways to measure and reward participation; toolkits and content to help new and existing Mozillians get up to speed quickly. There’s a whole lot to do — especially setting up some foundational basics — but I’m looking forward to some AWESOMENESS this year. I’ll be posting ways to get involved and help shape contributor engagement shortly. In the meantime, if you have any ideas, feedback or questions please let us know here: http://mzl.la/fzbinn. As both Jane Finette and I have shared we’ve been looking at how we can engage with even more of our 400 million users and in meaningful ways. The first step was to open a line of communication with our users via a mainstream newsletter and to assess our main participation channels. Next up is to lower the barrier for participation and make it easier for people to find ways to help without having to hunt around. If you’ve walked through a setup on a social application such as TripIt or Facebook lately you’ll know that one of the first things you’re asked to do is ask people to join. While this does truly enhance your experience with the product and create your social graph (did I say that?! ), it also spreads the word, conveniently. Without going that far, we thought about how challenging it is for people to find ways to pitch in and spread Firefox outside of simply telling their friends. This is nothing to sniff at — Firefox has reaped the benefits of word of mouth over the years. However, we wanted to make it super easy for people who like Firefox to get involved and have just rolled out a new participation page. This even impacted the name. We steered away from “Get Involved” which often implies volunteering or more time commitment. The concept is to highlight three super easy calls-to-action and offer a sharing capability. We’re using Facebook and Twitter off the bat. In terms of immediate next steps, we’re working to get this integrated more with mozilla.com and the product experience. For instance, we’re working on a snippet for the Firefox start page, and the first run and what’s new pages. I’d also like to see it in different languages and it would be interesting to develop a tool that would surface opportunities based on your interests, time and skill. In addition to the participation page, we’ve rolled out our new Army of Awesome. Every day, thousands of people tweet their Firefox questions. We wanted to set up a lightweight way for them to get answers right away from fellow Firefox users. So working with our awesome Support team we kicked off a program to encourage people to respond to others on Twitter. My intrepid colleague William Reynolds has a great write up on our thinking. Want to help? Please share any ideas you might have for the participation page below, share it around and of course, join the Army of Awesome! Help improve our participation channels! As Jane Finette wrote earlier this summer, Mozilla has never had a traditional marketing program. In fact, we’ve been focused on engaging our users for years — offering ways to get involved via organic marketing efforts and participatory campaigns. We’re exploring even more ways to expand this involvement and connect with our 400 million Firefox users. Firefox Download Day: Does it get any more participatory?! As part of this exploration, it’s important to take a look at our current participation channels to assess how we’re doing and what we can do to improve. It’s only natural to look outward and hear directly from participants. Therefore, we’ve rolled out surveys to folks participating in our Facebook, Twitter, Student Reps and Affiliates (site badges) channels. If you have a minute please take one (or all!) of our quick surveys to share your ideas and help improve these programs! Student Reps Survey: Are you part of our Student Rep program? Facebook Survey: Are you a fan on our Facebook page? Affiliates Survey: Do you have a Firefox site badge on your website or blog? Twitter Survey: Do you follow @firefox on Twitter? I appreciate your feedback and am looking forward to growing our participation programs! Marketing Survey: The results are in! We set out this year to focus on growing marketing contribution — in particular, create new learning opportunities and ways to contribute, develop roles, create tools to help you promote and a better means of recognition. Our first step was to figure out the size of the community marketing team, what sort of marketing work people are interested in and how we can improve the experience via a short survey. The findings are now in — thanks to all 541 of you who took the time to fill out the survey! William Reynolds and I will be publishing a few posts on the survey findings (stay-tuned for his Student Reps-specific writeup this week), but wanted to share the high-level findings and takeaways. What is the team interested in doing? 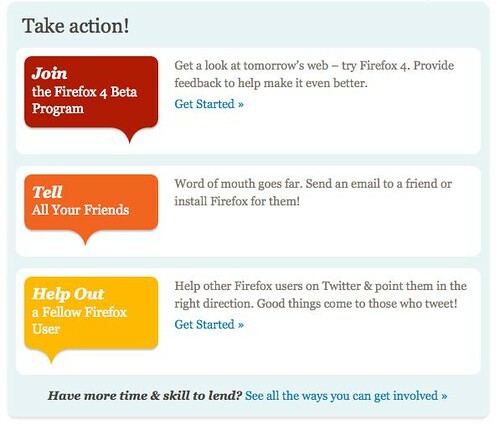 • encouraging the CMT to promote Mozilla to non-technical people, and provide them with the tools to do it. We’re getting a start here with the Firefox Education kit, but can do a lot more. We also need to investigate involving more passionate Mozilla and Firefox supporters from non-technical backgrounds. • educating the CMT more about the Mozilla Mission and Drumbeat, making both easy to grasp and promote. • educating new contributors about different marketing techniques (such as guerrilla marketing). We’ve always excelled with our creative, noteworthy ideas — Firefox Crop Circle, anyone? • creating more awareness about the bi-weekly calls…and of course, improving the overall experience of them. We surpassed 50 million Firefox 3.6 downloads and thought it would be fun to dig up a few things from the archives. 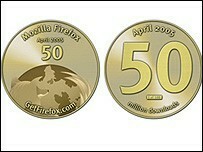 We celebrated our first 50 million downloads (April 2005) with commemorative coins designed by volunteer Jamey Boje! Who has one? I never actually got one! Meanwhile students at Oregon State University “Took back the sidewalk” with a huge chalk drawing of the Firefox logo. Our dear Polvi is somewhere in there! As we near 50 million downloads of Firefox 3.6 it’s a good time to reflect on the role our community has played to promote and spread Mozilla and Firefox — it’s been critical! 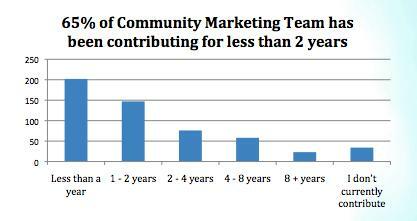 The community marketing team’s main focus for early 2010 is to grow this amazing marketing contribution. Primarily, we’re working to create new learning opportunities and ways to contribute, develop roles, create tools to help you promote and means of recognition. To kick things off, we’re surveying community that have been promoting Mozilla to gather some basic information: what sort of promotion people do and want to do, where they’re located, the number of total volunteer marketeers and more. We could use your help filling out our short survey.